Growing up in Orange County, there where things that I had to do in order to be like the rest of the peers in my class and community. It wasn’t written in law or made a school policy, but for some reason it was what everyone else was doing and marked success. Or at least it marked a person’s journey to eventual success. These things ranged from academic programs to extra curricular activities and included musical instruments, sports, languages, and so on. My parents offered me many opportunities to take part in these activities in order to see me succeed in the way they where told what success was. And that’s why they’re pretty awesome. For this week’s posts, I’m going to talk about these requirements that where “forced” on me by society and my journey through them. Growing up in Southern California as a Taiwanese American, it was expected for you to know multiple languages in order to be set on a journey of success. And, it couldn’t just be any language of your choosing. The four languages were Taiwanese, Mandarin, Spanish, and/or Latin. Now, if you could master all four, then that would mean that you are set for life, but three was sufficient enough to barely get by. My parents taught me Taiwanese by communicating with me at home, so that covered the conversational skills and half of one language. Fortunately for me the written language is the same to Mandarin, so I went to “Chinese School” on Saturdays for the rest. I would wake up every Saturday morning and begrudgingly go to classes every week. I would whine and complain the whole time by reminding my parents that it wasn’t fair because all my other friends didn’t have to go to Chinese school on Saturdays. They’re response? The logic never made sense to me. Nor did going to school, so I ended up not doing very well. However, I did retain enough of the language to be able to order food in Chinese and have a basic conversation about beer and wine. I’ve got the important parts covered. Now, for my third language it was more of my choice. We where required to take two years of a language in high school and everyone was choosing between Latin and Spanish. The choice should have been easy for me, either choose something that will help me understand the English language much better in life or Spanish, a language that was important not only in my current community of Southern California, but also for the future of America. The problem is, I was given a choice. So, I decided to take German. You know, that common language that is spoken all over California, especially in Southern California. You hear it all the time on that German network on tv or when you listen to German music blaring on the radio in the streets of LA. It was so useful for my future. Now that I am MUCH older, I realize that I don’t remember any of my German education for two reasons: The first reason is that I didn’t understand what I was learning and couldn’t figure out why we conjugate verbs and what was feminine, masculine, and neutral nouns. One time, when I got the gender rules wrong on an exam in class, I argued with Frau Strauss that in order for there to be gender equality in society, we must challenge gender roles in all levels of the world, including language. She was impressed at my reasoning , thanked me for my response, asked me to translate my excuse into German. I did, with the proper rules, and then she gave me the points for the wrong answers. Unfortunately I still had to learn the gender rules. Wir dürfen nicht zulassen Geschlecht zu bestimmen, wie wir über die Gleichheit in der Gesellschaft und Sprache zu denken. conversation turned out to be one sided and I am sure painful to hear by any outsider or German person. It was mostly of me asking him basic questions about the location of a library, where a generic boy named Frans lived, what his favorite fruit was, and to talk about the political environment for gender neutrality in Germany. I was trying to repeat whatever German I remembered from my classes. His response was to stare at me, as he tried to figure out if I was speaking in English, Taiwanese, Mandarin, German, Spanish, or Latin. The second was with a family friend from Ohio who comes from a German family and it was to order pierogi (which aren’t even German). I do have to say though, out of the two years of classes, I did enjoy watching “A Fish Called Wanda” (with subtitles) and listening to 99 Luft Balloons (the English version). This braised short rib is super easy. 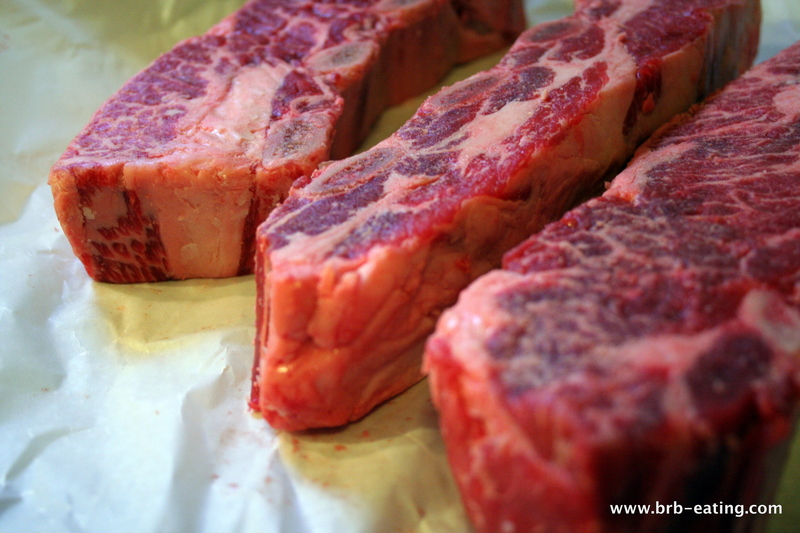 The key is to keep a slow and low cooking process and you will finish with some beautifully unctuous short ribs. Most of the braising liquid comes from a light lager; specifically a German style lager to not mask the flavor of the beef and vegetables but adding a subtle nuttiness and umami to the dish. Also, most of us have some sort of German style pilsner lying around in our house. I used Singha. And, do you see the connection to this dish and my story now? You may not speak the LITTLE language but you have the food down pat. May I suggest a double Brock for intenDr flavor. Charlie from Missouri could fill in the correct brew better. He is a beer “meister” and an old friend!